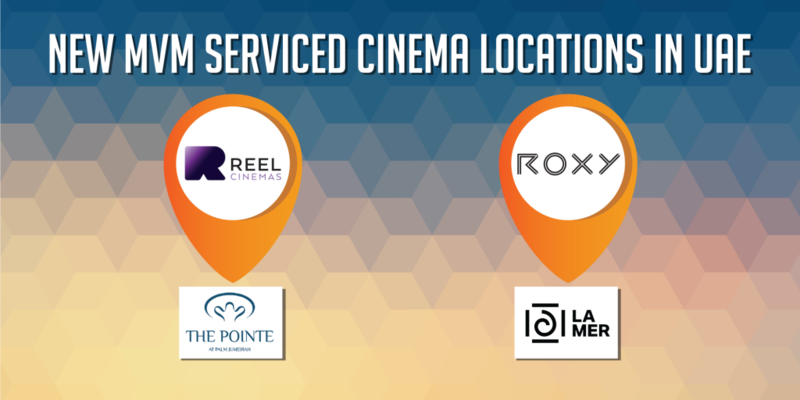 Motivate Val Morgan has two new cinema locations in Dubai, UAE – The Pointe (Reel Cinemas) and La Mer (Roxy Cinemas). Reel Cinemas launched their new boutique cinema – The Pointe at the tip of Dubai’s Palm Jumeirah – equipped with Barco laser projectors and Dolby Atmos surround sound. The five-screen cinema with a total seating capacity of 199 includes a mix of Standard and Dine-in Cinemas as well as a third Guy Fieri’s Kitchen – synonymous with American-style cuisine. While regular cinema snacks are offered at two standard screens, you can enjoy dishes such as trash can nachos, barbecue short ribs and chicken wings at dine-in screens. A 100-seater Guy Fieri Restaurant is also adjacent to the cinema, serving an extended menu of all-American comfort foods, mocktails and super-sized shakes. The Pointe marks the sixth cinema opening for Reel Cinemas in Dubai, adding to their existing portfolio – The Dubai Mall, Dubai Marina Mall, The Springs Souq, Jebel Ali and Rove Downtown. Roxy Cinemas recently launched their second boutique cinema at La Mer, Jumeirah. The four-screen cinema with a total seating capacity of 120, is an indulgent and guest-focused cinema experience with luxurious leather reclining seats and stylish boutique ambience. The cinema is equipped with a bistro lounge and customers can order from their latest menu which includes Wagyu beef burgers, Roxy sharing platters, glazed beef skewers and a selection of salads. Their gourmet offerings come in addition to the traditional cinema favorites like popcorn and nachos. Plus, a variety of dessert delights and mocktails is available on demand. 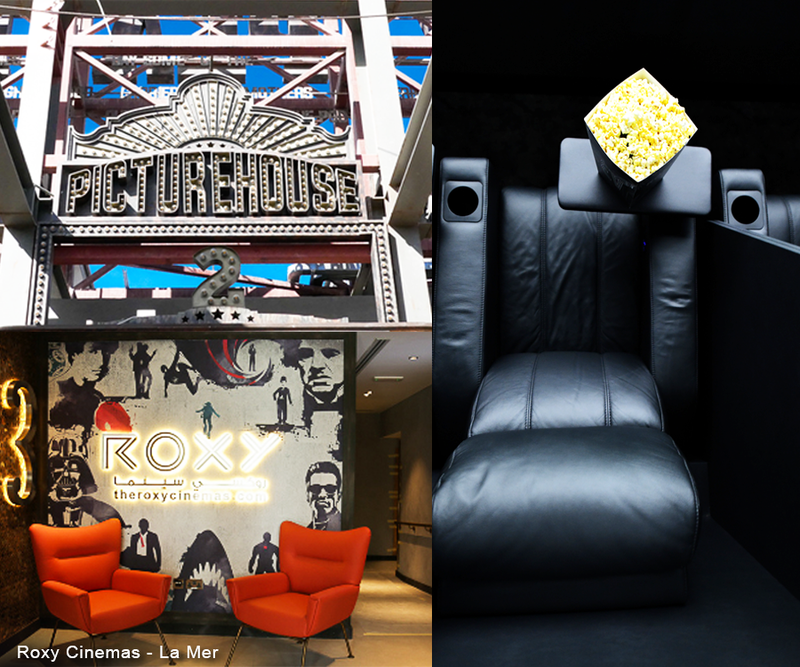 Roxy Cinemas now operate four cinema locations across Dubai – The Boxpark, The Beach, Citywalk and La Mer. As the exclusive cinema advertising partner of Reel and Roxy Cinemas, contact a member of our sales team for advertising opportunities at these two locations.